This was my favorite meal growing up, and is still a meal I look forward to eating every time I go home to visit my family. It was one of the only ways my mom got all of us to eat broccoli as kids. It's an easy meal that your whole family is sure to enjoy. You can puree this for little ones 7+ months or serve as finger food for older little ones. I usually serve this over brown rice, but when my casserole timer went off I realized I forgot to make the rice, so I used whole wheat cous cous this time because it cooks in 5 minutes. Preheat oven to 350F. Spray a large skillet with cooking spray and place over medium high heat. Lightly season chicken with salt and pepper and place in skillet. Cook for 5 to 7 minutes on both sides. 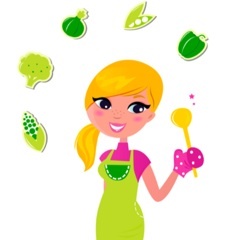 While chicken is cooking put frozen broccoli in a pot with a little water. Cover and steam over medium high heat for 5 or so minutes. Put cream of mushroom soup, milk, curry, and a little pepper in a bowl and mix. When chicken is cooked cut it up into bite size pieces and place in a baking dish. 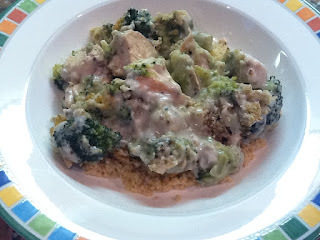 Put steamed broccoli over chicken and top with cream of mushroom mixture. 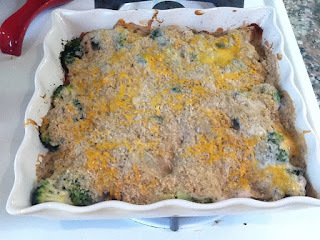 Sprinkle bread crumbs over casserole, top with handful of grated cheddar cheese if you like. 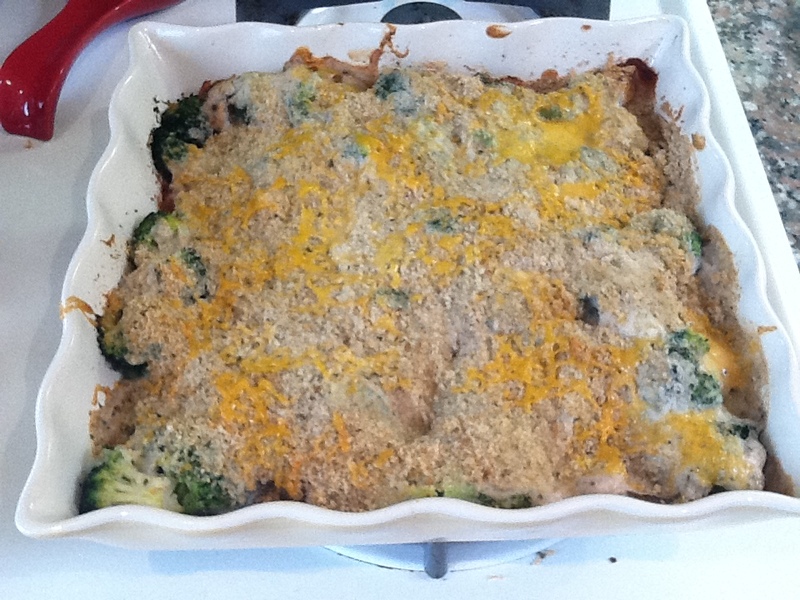 Cover with foil and bake in oven for 30 minutes. Let cool for a minute, serve over brown rice and enjoy! Make sure to cut everything up into bite size pieces for your little one. Any suggestions for a cream of mushroom soup substitute? Thanks! I'm making this for dinner tonight, so funny! You can also use cream of chicken soup.